Disaster movies are rarely compelling what with the general over-reliance on impressive effects and improbable rescue efforts made by heroic characters. 51º North is a different beast; an independent disaster flick can’t blow its budget on depicting a tsunami in London or Sydney freezing over so instead it turns its attention directly to its characters and their plight. 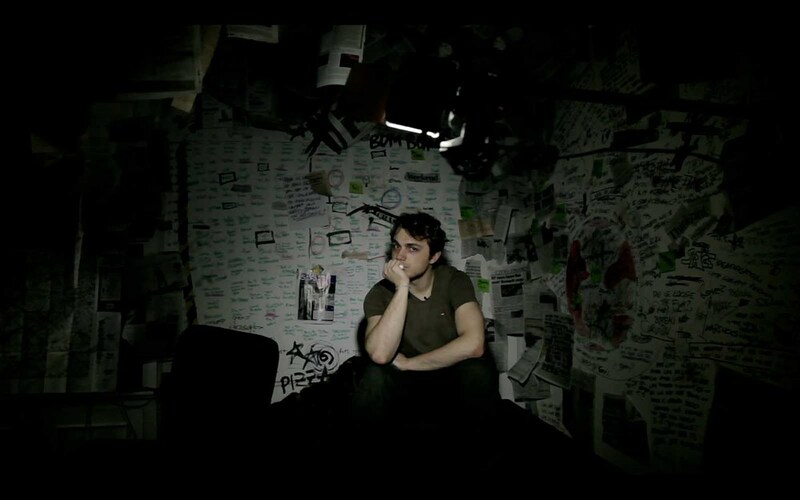 Here we follow Damon Miller who is a YouTube star and budding filmmaker who becomes obsessed with the threat asteroids pose to Earth just in time to learn a government secret that the apocalypse may well be only a few days away. The film is at its most compelling when it is depicting Miller’s struggle to comprehend and stay silent about his and humanity’s impending death. Here the film takes on a greater power than it starts out with as we keenly feel what our protagonist is going through as the hours tick by. It’s almost like a withdrawn and somber version of Seeking a Friend for the End of the World where comedy and uplifting moments are traded for contemplation and earnestness. Thankfully though that intensity is offset a little earlier in the film with the narrative decision to use the found-footage approach which allows for a casual light-hearted relationship to develop between us and Miller. 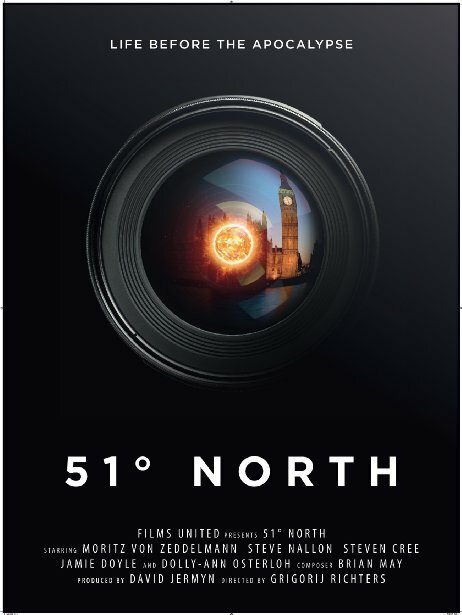 51º North actually has one of the best uses of found-footage I have seen, aside from the use of CCTV camera shots which seems a little forced, it actually makes sense that Miller would keep filming within the parameters of the storyline (which I won’t spoil here). Also we learn from the beginning that the film has been arranged by his son years later which allows the film to have a sensible and compelling development that isn’t shaped by a linear narrative. As I suggested above the first part of the film is the weaker of the two, but by that I don’t mean it isn’t compelling, only that it doesn’t have the tight focus of the second half as it mingles plot-strands about the relationship between Miller and his girlfriend, the success of his YouTube channel and documentary-esque snippets about asteroids and the danger they pose to us. These elements do all gel together but perhaps a slightly harsher hand in the editing room would have brought it to the same level of quality which the second half has. None the less this is a consistently interesting and slightly frightening look at one possible means of our annihilation. Did you know for example that there are less people working on the asteroid problem worldwide than there are working on one shift at MacDonald’s? I didn’t but now that I do and have seen the damage that they can do I feel somewhat compelled to cry out about it. It’s exactly the response director Grigorij Richters had hoped for¹ and the film has already been instrumental in forming National Asteroid Day in order to raise awareness. It succeeds as a call to arms and it succeeds as an emotional narrative despite a little baggage in the first half. What’s perhaps most impressive here is that the film feels like a blend of documentary, indie drama and found-footage and yet it all gels together. That takes some doing on Richters part and marks him out as one to watch in the coming years. What is the film’s greatest strength? There are a number but I think the emotional intensity of the latter half of the film was its strongest factor. Its greatest weakness? A slightly fluffy first half. Would I see it again? Yes, it’s not one you would put on often but I found it very interesting.